Learning a new app or graphics program can be overwhelming at the best of times. Procreate is incredibly intuitive, but can be particularly tricky to get to grips with initially. The interface is minimalistic and uncluttered, most toolbars are hidden from sight. This is really helpful for an unobstructed view of the canvas, but can be intimidating for newbies to find their way around. The app is designed with the most commonly used functions initiated by gestures. For example, one of the most useful (particularly for me!) is a 2 finger tap on the screen which will undo your last action. Gestures like this dramatically speed up your workflow and really make the most of the touch screen device. But it can be easy to forget what gestures you have available to you! So today I’m sharing a free cheat sheet to help with that. This quick reference guide cuts straight to the essential elements you need to know for using Procreate. It includes the interface, the most common gestures, helpful Layer actions and an overview of the Brush panel. These components are really the core functionality of the app, and a great starting point to get you feeling comfortable. The download comes as both a PDF and a Procreate file, so it can live right inside your Procreate Gallery! You don’t need to dig around and try and remember where you saved that PDF file! 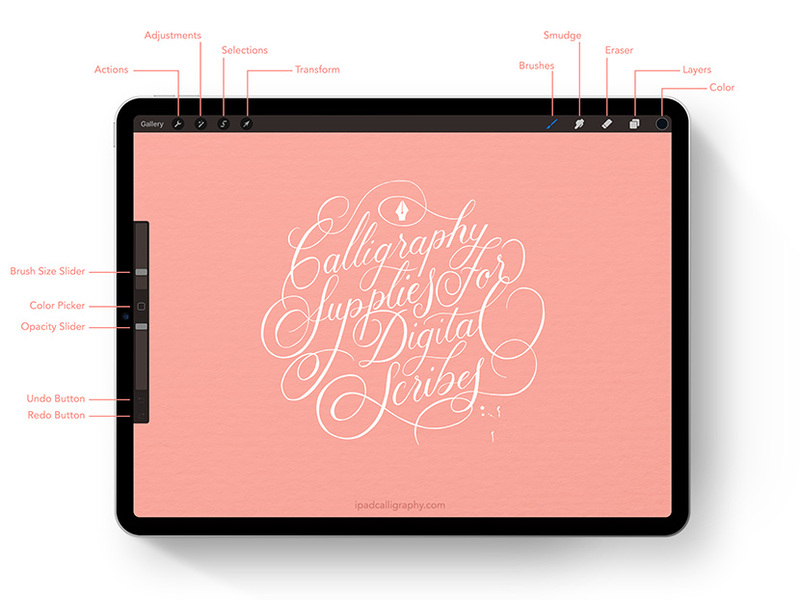 It’s right where you need it – in Procreate. As a side note, this cheat sheet was designed especially with my calligraphy students in mind. 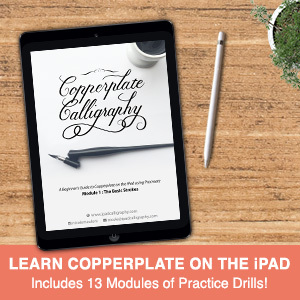 If you are learning Copperplate or Faux Calligraphy using the workbooks, this glossary will make sure you know exactly how to navigate when using the guides! P.S. 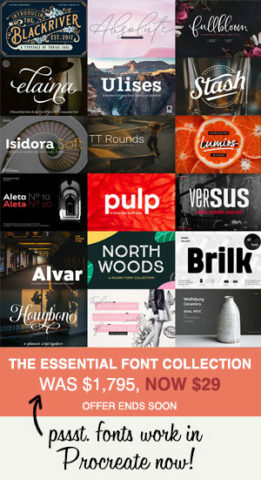 If you like this idea of help guides delivered as a Procreate file that you can keep in your gallery, please come back and let me know in the comments below. If people are liking it, I’ll do more in the future! Nice! Thank you for creating and sharing! That’s great that you like the Procreate file idea too Carmella! I got your email and glad you were able to download the file now. Thanks Nicole! This is great and what an awesome idea of procreate files like this to store right into the app! GENIUS!! Thank you so much for this usefull cheatsheet. Also for everything else you create and share with us. I‘ve already learnt a lot for my lettering and for Procreate.